The M1s begin their 2018-19 season, whilst the L1s will be hoping to pick up their first three points of the season. 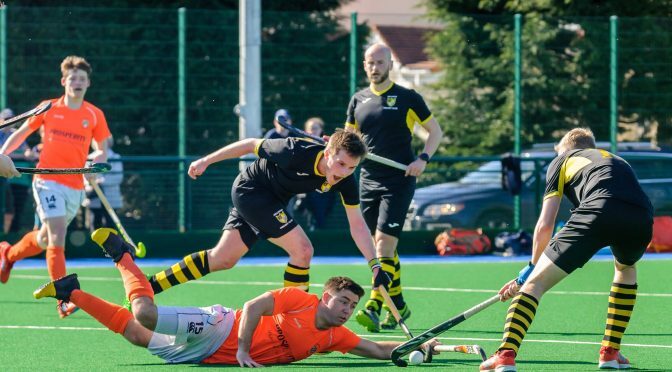 Clydesdale Men’s 1st XI will begin their Men’s National Division One campaign for the 2018-19 season at Old Anniesland, where they will take on Hillhead from 3.00pm. ‘Dale finished a credible 5th place in the 2017-18 season, but will be keen to push higher and seal a place in the coveted top four spots of Division One this coming season. There were a few departures from the Clydesdale ranks, most notably Alasdair Richmond and Danny Cain. But the M1s have gained new faces as well as some old faces – Gordon Amour has returned from Edinburgh University and will also be captain of the M1s for the upcoming season. The new faces of the team includes goalkeeper Jack Rathbone, who will be making his debut in place of Gordon Clark who is unavailable. Clydesdale Western 1st XI are also away at Old Anniesland where they face GHK 1s, 1.30pm PB. The girls narrowly missed out on securing a win in last weekend’s opener away to Wildcats, despite a superb second half performance. ‘Dale Western will be keen to pick up their first win of the season against GHK in their bid to be up at the top of the table come the end of season. GHK got their season off to the best possible start after beating Grange EL last Saturday. Six other games on Saturday and Sunday, which includes the start of the Men’s West District season. The M3s are away to Uddingston 2s from 12.00 noon in West District Division 1A. The M4s and M5s have home games against Giffnock 2s (1.30pm PB) and Helensburgh 3s (12.00 noon PB), respectively. The L3s, who will be playing in their first game of the Women’s Championship Division One season, play away to Haddington 1s from 1.30pm. The L6s are at home to GHK 4s from 3.00pm, whilst the L5s play on Sunday away to Giffnock 1s – also a 3.00pm PB. Once again, good luck to all of our teams for the weekend – especially to the M1s, M3s, M4s, M5s and L3s who play their first competitive game of the season.